In 2010, we work very hard to bring general property prices and rentals statistics to the general public (for FREE! ), so that we can have a slightly better understanding of the property market before we make a purchase which would effect us for the next 10-30 years to come. 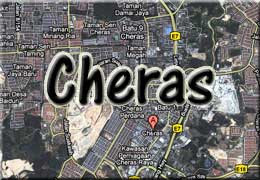 Recently, we just added a large pool of statistics for Cheras area, which is our most exhaustive attempt so far. We clean up quite a handful of previous erroneous data, and make the analysis and statistics slightly more accurate.